A tough travel schedule with back-to-back games last week turns into a three-game weekend with travel this weekend. While the Lehigh Valley Phantoms (1-2-0-0) started their first road trip of the season with a 4-1 win over the Springfield Falcons last Friday night, Saturday’s 6-4 loss to the Wilkes-Barre/Scranton Penguins left the Phantoms with six players on the team’s injured list. With a three-game weekend approaching , the Phantoms are gearing up for another road trip starting Friday night in Providence, Rhode Island against the Boston Bruins’ minor league affiliate. Three of the six injured players – forwards Colin McDonald (out 3-4 weeks) and Michael Parks (upper body, out at least a few weeks) and defenseman Robert Hagg (undisclosed) – have already been ruled out for this weekend’s three games in three nights set. The injuries prompted the Phantoms to add three players from their ECHL affiliate Reading Royals, with forwards Brandon Alderson, Kevin Goumas and Derek Mathers joining the team at practice on Tuesday. 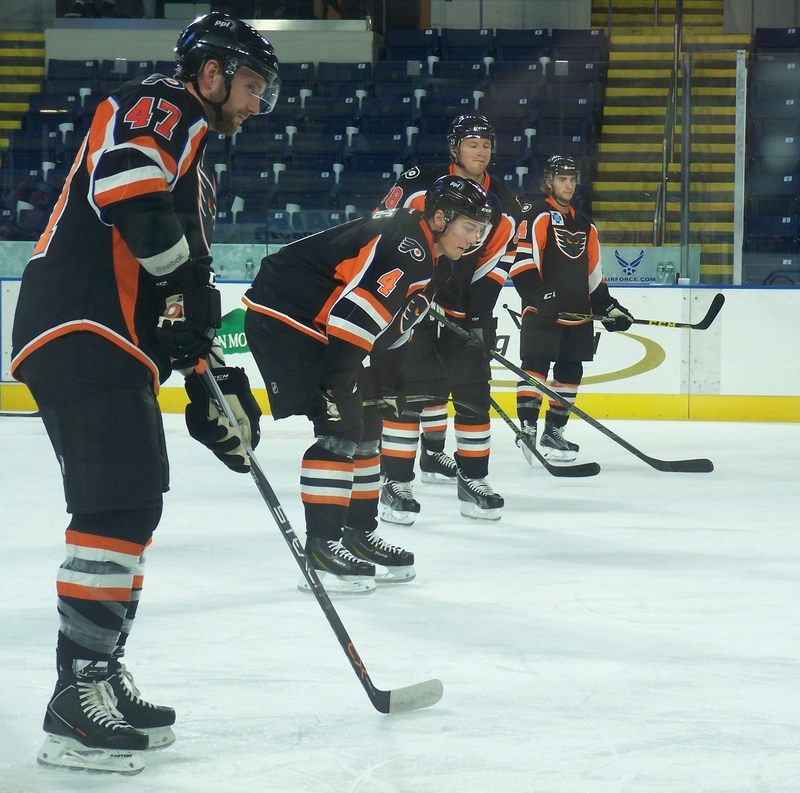 A four hour bus ride last weekend becomes a five hour bus ride this weekend when the Phantoms travel to Rhode Island to take on the Providence Bruins Friday night at 7:05 p.m. EDT. The two teams will then both bus overnight to Allentown, where the Phantoms and Bruins will play each other again Saturday night at 7:05 p.m. EDT, but at the Phantoms’ home rink – the PPL Center – which begins a four-game home stand for Lehigh Valley. The Phantoms conclude their three-game weekend with another home matchup on Sunday evening against the Toronto Marlies at 5:05 p.m. EDT.